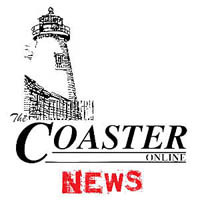 The special ad hoc Ocean Grove parking committee gave its first official report to the Neptune Township Committee on Monday but presented no concrete proposals yet to alleviate the historic district’s chronic summertime parking problem. “We looked at all aspects of the parking problem. We met and talked and talked and talked but have no official recommendations at this time,” he said. “We started to get into what we would like to accomplish. We will try to get it done as quickly as possible and have something in place by December,” he said. Neptune has hired an independent traffic engineer, for an amount not to exceed $5,000, to look into the chronic parking problem in Ocean Grove, particularly during the summer months. The 10-member ad hoc Ocean Grove Parking task force was created in July to look into ways to alleviate Ocean Grove’s summer parking problems. The task force, which also has two non-voting advisors, was to meet on or before Aug. 11 and has to report to the Township Committee during every third meeting. The parking task force now consists of two members from the Township Committee (Carol Rizzo and Nicholas Williams); two at-large members (Craig Woodland and Ray DeFaria, both Ocean Grove residents); two Chamber of Commerce members (Raymond Huizenga and Steve Mandeville); two Ocean Grove Homeowners Association members (Joyce Klein and Richard Williams), and two Ocean Grove Camp Meeting Association members (Peter Herr and Douglas Arbert). The two non-voting advisors to the parking task force are Township Engineer Leanne Hoffmann and Police Department Traffic Officer Lt. Michael Zarro. The next parking committee report will be due in three Township Committee meetings from Monday.